... an upscale boutique salon located in NE Seattle, mere steps from University Village. 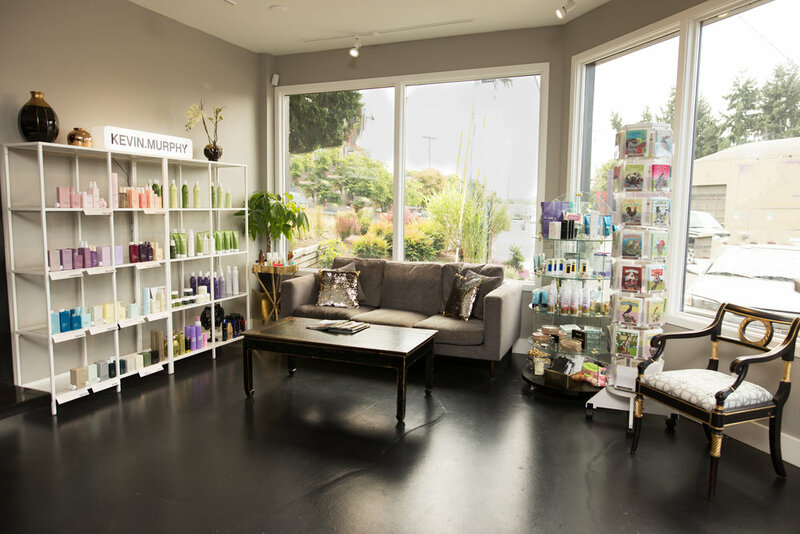 This gorgeous space is where beauty maven Ali Elder, a veteran in the Seattle salon and spa scene, has realized her vision; at The Beauty Bar, guests are enveloped in luxury as they experience the comfort and pampering that they deserve. The Beauty Bar offers premium services for hair, nails, waxing, eyelashes and ultrasonic fat cavitation, and serves champagne & wine* for the ultimate salon experience. Our highly-trained staff of beauty professionals are dedicated to helping guests feel as beautiful on the outside as they are on the inside. Whether you book an appointment for yourself or with a group of friends, The Beauty Bar is THE salon in Seattle to relax and enjoy a drink as we cater to your beauty needs.